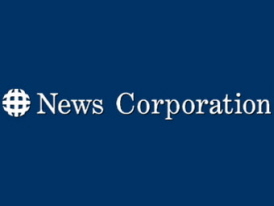 I’ve never believed that Rupert Murdoch or the executives that run FOX News and its owner News Corp (except Roger Ailes) were or are conservatives. They’re just opportunists. They found a niche with FOX News, and they milked it, laughing at conservatives all the way to the bank. Even as Democrats have scuttled Fox News presidential debate out of bias concerns, employees of owner News Corp., helped by CEO Rupert Murdoch’s $2,300 donation, are Clinton’s sixth-largest corporate source of campaign funds . . . . Clinton leads presidential candidates of both parties with $413,000 from lobbyists, according to CRP, trailed by McCain’s $262,000. Murdock’s paper, The New York Post, is very pro-Hitlery. There’s never a critical news report about her. The news stories are very slickly disguised and are very supportive of her. It’s also been very well-known for a long time that Rupee is backing Hitlery. This Rupert Murdoch-Hillary connection has, indeed, been known for some time. Maybe he thinks it will help him buy the Wall Street Journal? Murdoch is a moneymaker. And where there’s money, where his interest is, he’s there. Follow the money, they say. Why do you think he sold a share of his empire to the Saudis? By the way, don’t be surprised if Hillary Clinton will be the next president. The Republican Party is so screwed up, even a high school janitor can beat any of its candidates. Independent Conservative. That’s a laugh. Funny how every independent conservative I meet watches PMSNBC and wears birks. Ain’t THAT a hoot? I am often disappointed by Fox News and now I know why. There is nothing but liberal bias in any of the “traditional” news outlets–and, Rupert Murdoch is a good friend of Barbara Walters, who lets herself be run by big mouth Rosie–at least until Rosie insulted Murdoch. Right there is a FOX/ABC/DISNEY connection! 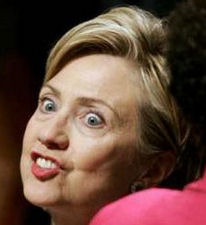 I prefer to call her “billary” since they seem to have such a weird, symbiotic relationship. Independent, at least the Republican tent isn’t full of communists; if what you infer is correct, the dem candidates wouldn’t be throwing their mud so hot and heavy–they’re scared and maybe you should take a look at the true facts surrounding the elections. Objective observation trumps talking points. Thank you Debbie for this expose’. This news comes as no shock to those of us at the Jewish Task force. JTF (dot org) has been saying for years that Rupert Murdock and the other multi-national corporate elites use phoney conservatives as a way of making real conservatives think they’re voice is being heard-this way they won’t get too frustrated and unite to take power again as was done with Ronald Reagen. All real conservatives should unite with JTF (dot org) the only true conservative organization with a plan to throw these phonies out of power permanently. Hillery Clinton is no better than her vile husband. Both are power hungry corrupt un/anti- American traitorous virmin. One only needs to google “Chinagate” to see her husbands legacy that is haunting us now and forever. For Hillary, she must not be allowed to have a legacy other than an old disgruntled Socialist CFR hack of a wife to an unfaithful criminal of a part time-husband. Do some research into Ron Brown or the “Clinton Chronicals” for a few more examples. Given the opportunity Hillary will run American further into the toilet of inhumanity. “Progress” American towards bankruptcy: Moral, economic and social. As for Israel, read “The High Cost of Peace” by Yosef Bodansky…..and expect more of the same from this piece of sub human offal should her stench make it to the Oval Office…God forbid! !